Special thanks to Kelsey Sederstrom for contributing this article and photographs. Kelsey is a freelance writer from Phoenix, AZ. It is truly a treat to visit one of my ultimate favorite coffee places, Rayner’s Chocolate & Coffee Shop, as it is on the far west side of the valley. Rayner’s was recommended to me by a fellow coffee-drinking family member who lives in the area. Ever since that first sip, I have always made it a point to visit whenever I am in Glendale. 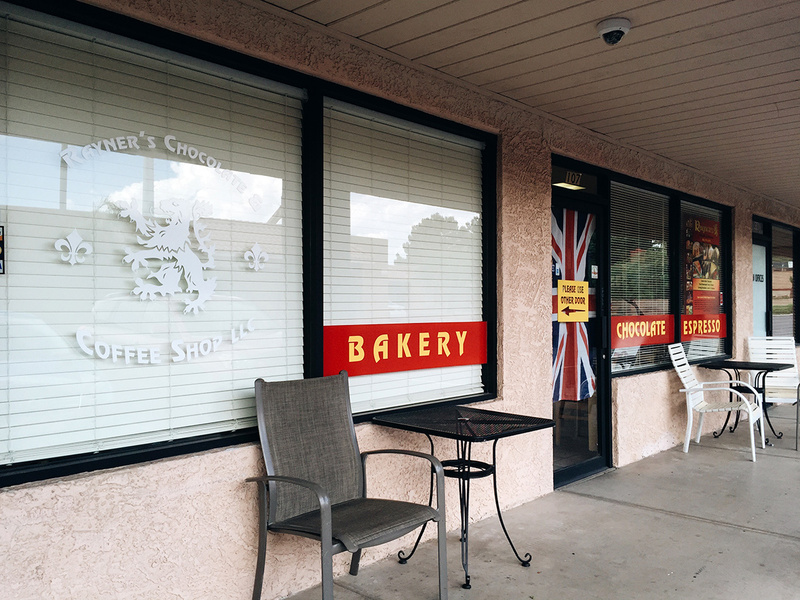 Located in a strip mall close to ASU West campus, Rayner’s doesn’t look like much from the outside, but the British flag hung on the door hints at the flavors inside! 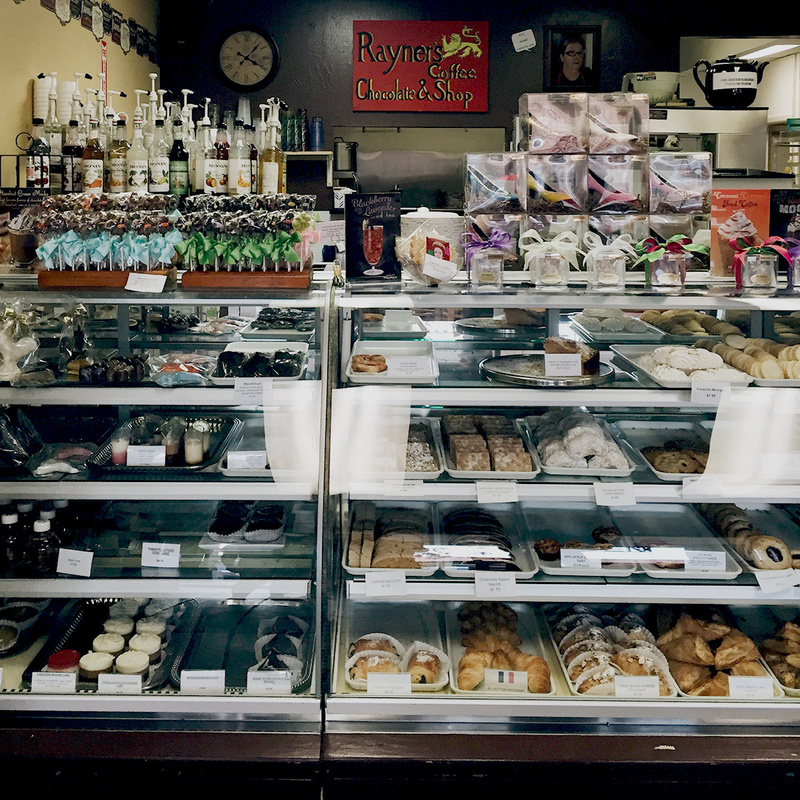 Rayner’s has been named “Best Place to Satisfy a Sweet Tooth” by Phoenix Magazine’s Best of the Valley, and it doesn’t fall short of this accolade. 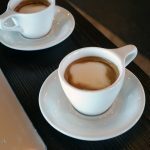 Rayner’s boasts a coffee menu with over 10 specialty flavors to choose from. All flavors can be ordered hot or iced. 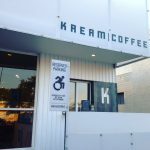 Iced coffee is served with a great coffee to ice ratio (don’t worry about watery coffee, or running out of coffee too soon!). 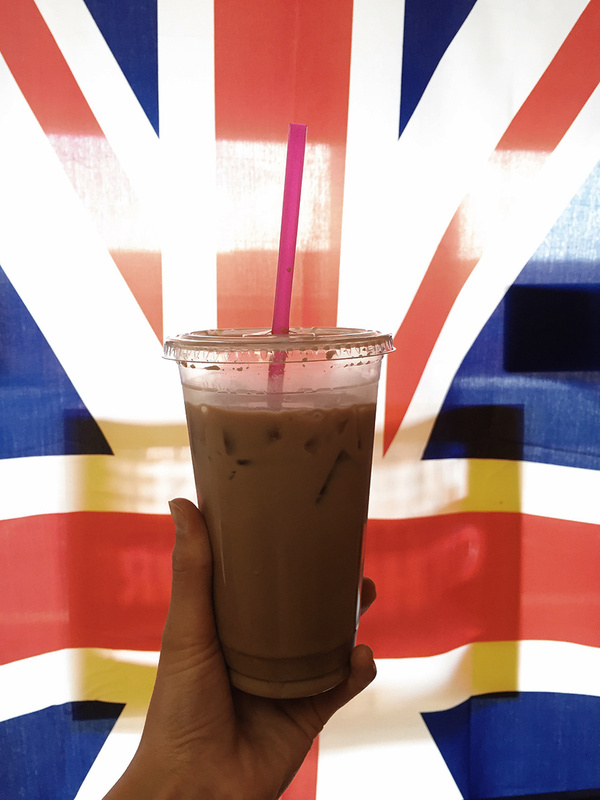 My regular is “Sinful Irish”, a blend of Irish Cream and cinnamon. For this review, I decided to try a different flavor: Campfire Mocha. Campfire Mocha combines toasted, creamy marshmallow with white chocolate. 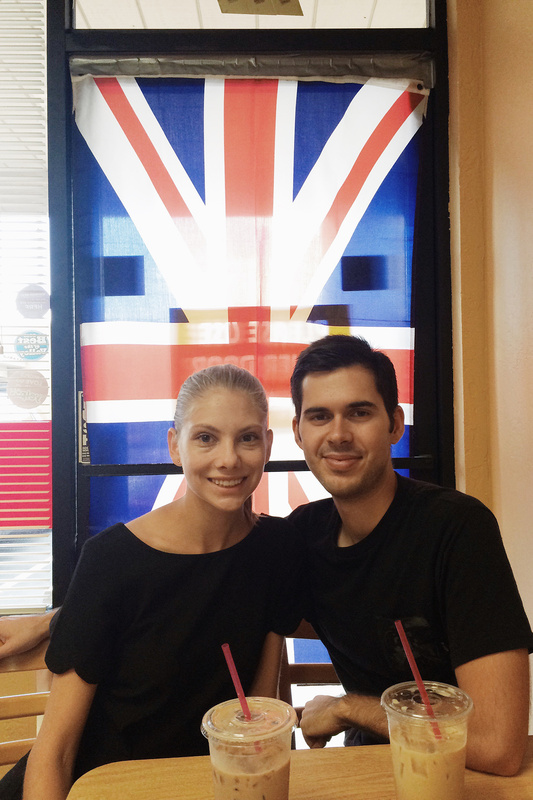 I admit that it was a little too sweet for me, so I swapped drinks with my husband. I ended up with the Hazelnut Mocha, which was light and refreshing, almost like drinking chocolate milk! I also sampled the delightful Cocomint, with mint prevailing against a background of dark chocolate and coconut. However, Rayner’s is so much more than a coffee shop. The UK born owner, Chef Tony, is a chocolateer. 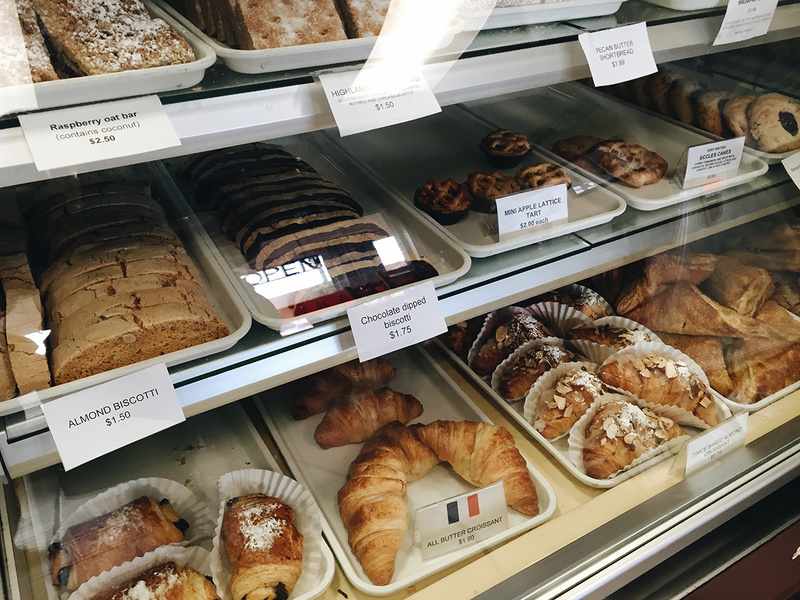 Chocolate truffles, bars and shoe sculptures are on display alongside British scones and tarts at the bakery counter. There is also a good selection of breakfast, lunch sandwiches and pasties. My husband recommends the tasty Cornish pasty, a baked pastry filled with delicious ground beef and vegetables. 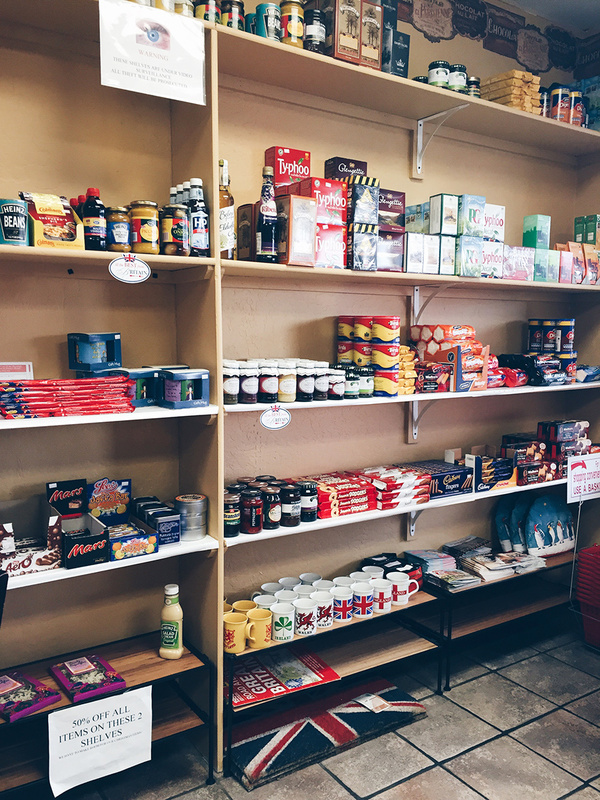 For those who want to take a piece of Britain home with them, there is a side room filled with imported food and small items for purchase. 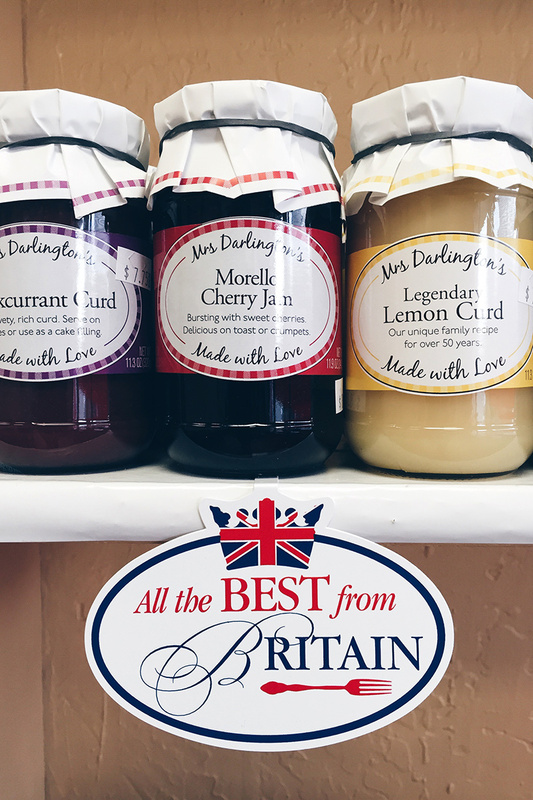 A visit to Rayner’s has many advantages; well priced drinks, a large bakery and chocolate section, free wifi, and a chance to purchase unique British goodies. The only con? You can never visit enough!